It's easy to get caught up in what we want instead of what we already have. This time of year can be filled with lots of "I want this!" and "I need that!" It can be tough on parents to teach kids about being thankful, and sometimes a visual reminder can go a long way. "Good Morning America" worked with author, caterer and event planner Mary Giuliani to demonstrate how to make a few of these Thanksgiving creations. 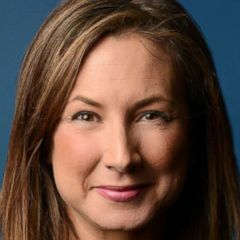 (Laurel Wyatt ) Turkey on the Table is a great way to teach kids about gratitude. 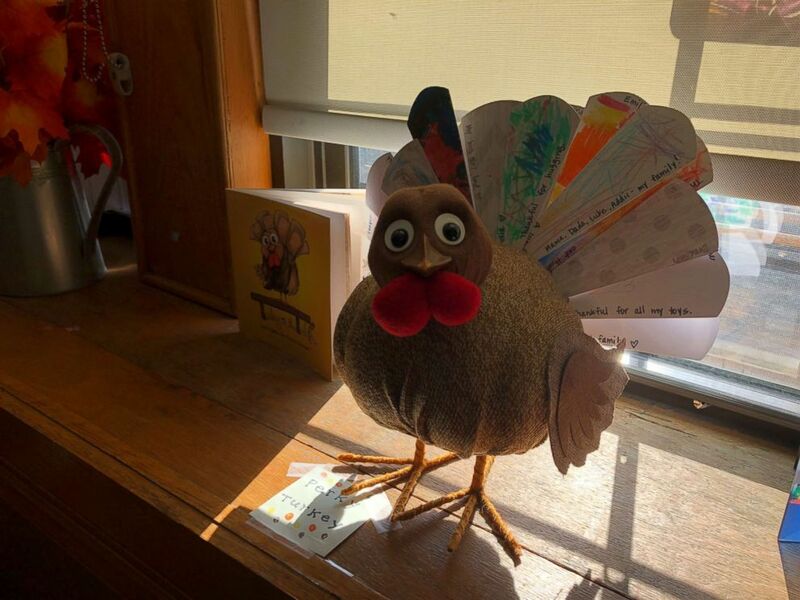 The featherless turkey gets "dressed" as Thanksgiving approaches with individual feathers with notes of gratitude on each. On Thanksgiving Day, display the turkey as the centerpiece and read the notes. For each turkey purchased, 10 meals are provided to people in need. So far there have been nearly one million meals provided! Cost: $40. Available at Bed, Bath & Beyond, select Michael's stores and Amazon. 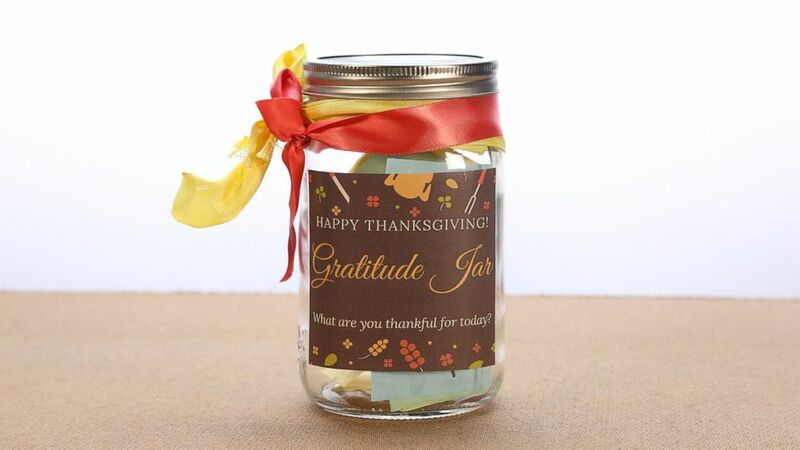 (Genevieve Brown/ABC News) The "thankful jar" is an easy project and centerpiece. What to do with those pumpkins you never carved this Halloween? Turn it into a gratitude pumpkin! 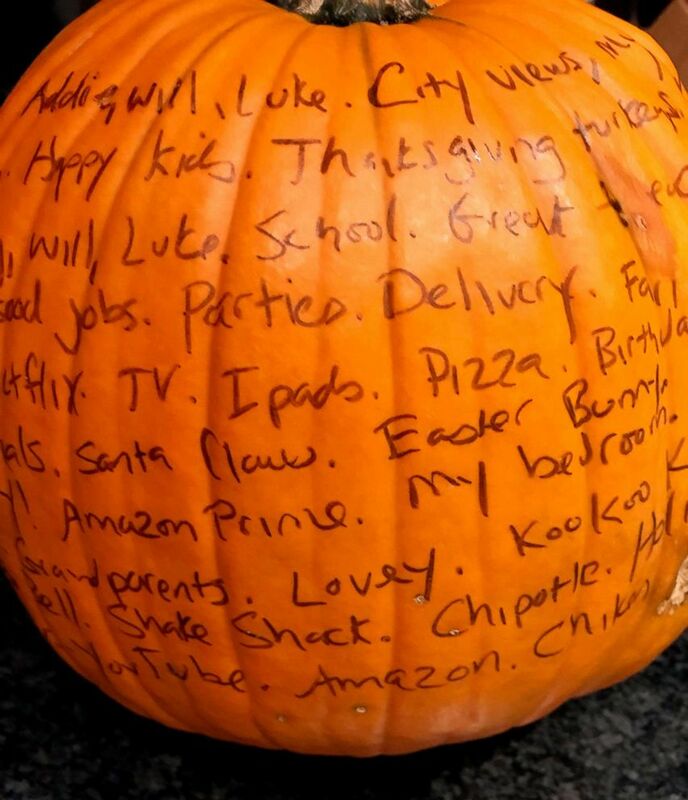 Every day, take your sharpie and write on the pumpkin what the kids are grateful for. Use it as the centerpiece for the Thanksgiving dinner table! Cost: free. 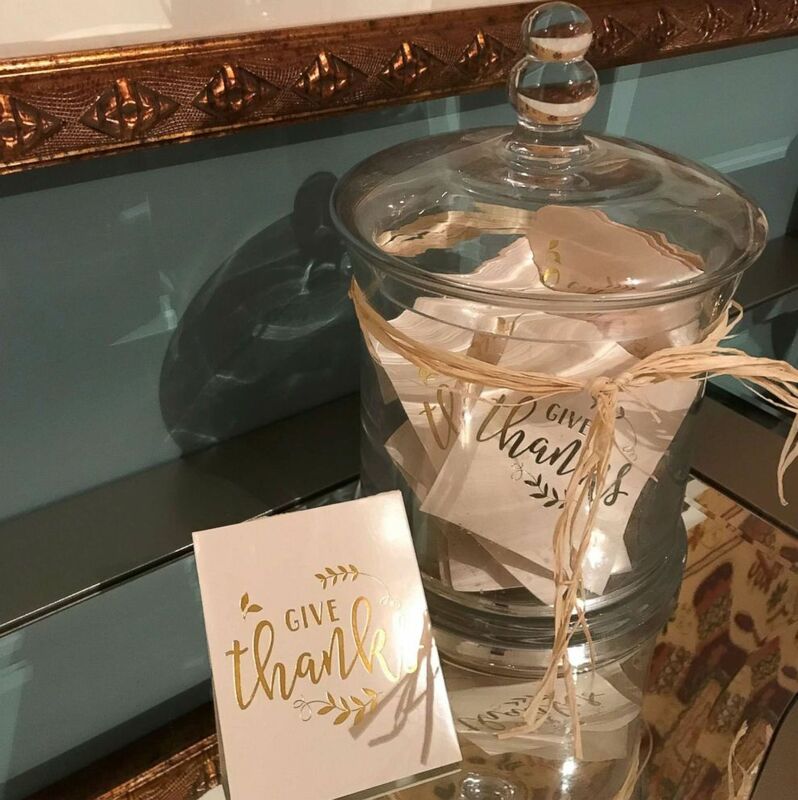 In the days leading up to Thanksgiving, have everyone in the family write down the things they are grateful or thankful for and put them in a jar. Everyone can take the time to write a note about each other person in the family. "I'm thankful for my mom driving me everywhere," or "I'm thankful my sister walks me to my classroom at school." Read them aloud over Thanksgiving dinner and everyone will come away feeling appreciated AND grateful. COST: free. 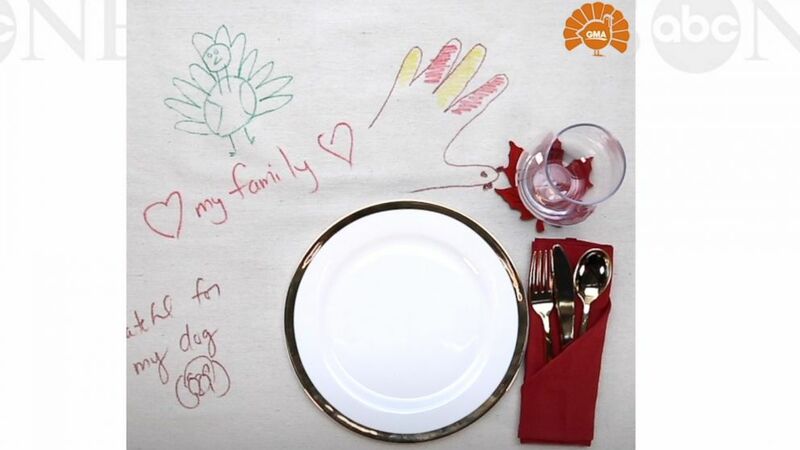 (Somewhat Simple) This Thanksgiving tablecloth will serve as a keepsake for years to come. This year, start a tradition sure to become a family favorite for years to come. 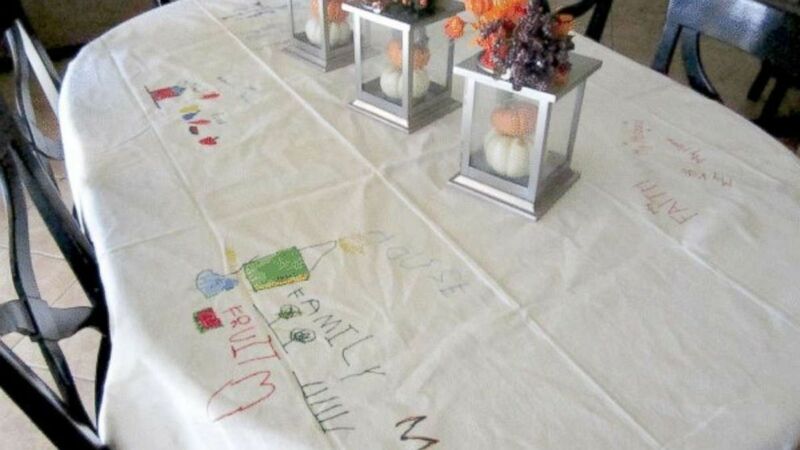 What starts out as a plain white tablecloth will in a few short years be filled with the memories of what your family was grateful for in years passed. Little kids can draw pictures, bigger kids can write out their thoughts. It's a gratitude lesson, keepsake and family heirloom all in one. We found this one on Somewhat Simple. Cost: about $10.